Would you like to become a mentor / educator? 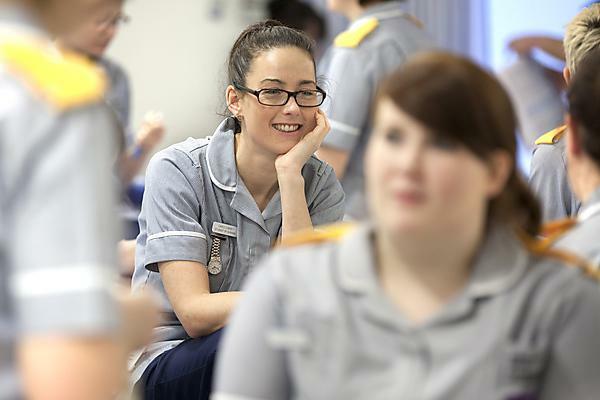 Would you like to become a nursing or midwifery mentor / educator? Plymouth University has for some time been recognised for its excellence in supporting those who undertake and work in support of professional placement learning. Based on a foundation of reputable courses, following innovations and developments with various partners within the healthcare arena such as Skills for Health we are in an enviable position to provide a suite of innovative, flexible resources suitable for a contemporary workforce. The programmes not only provide the necessary skills required to support learners in the role of a mentor / educator but also add to individual lifelong learning. Guidance for preparing sign off mentors. To find out more about becoming a mentor, please visit our mentorship preparation page, which will give you all the information you need to about this course. Both the Health Professions Council and the Nursing and Midwifery Council expect that those who support students to be appropriately prepared for the role (HPC, 2009, NMC, 2008). The Nursing and Midwifery Council expect those who mentor student nurses to possess an appropriate qualification and recommend that qualification is at degree level. (NMC, 2008). Plymouth University offer flexible opportunities to undertake a mentorship qualification at degree or masters level which can contribute to an honours degree or graduate diploma in education pathway. Are you an Allied Health Professional (AHP) and want to become a mentor / educator? Development of staff to provide high quality clinical supervision, assessment and facilitation of learning for students on placement is a key commitment of Plymouth University. Current HPC guidance requires that AHP mentors/ educators undertake 'appropriate practice placement educator training' (HPC Standards of Education and Training standard 5.8 (2009)), but do not stipulate that specific academic qualifications are required for AHP educators at this time*. From Spring 2010, initial educator training for AHPs (with the exception of paramedics- see below) has been delivered in a new format, which has been designed to build on existing provision to give participants a comprehensive preparation for student supervision and more consistent access to professional accreditation on completion of the course. This new format has also been designed to ensure that educator development activities meet both current and possible future requirements of the HPC. The AHP educator training programme consists of one taught day of study supported by a self directed preparation pack. The study pack will cover core aspects of student supervision and facilitation of learning in the clinical environment, including objective setting, feedback and assessment. The taught study day will develop these areas further, focusing on the specific programme of study relevant to each profession, placement arrangements and assessment requirements of each individual programme. *the exception to this guidance is paramedic mentors, where the British Paramedic Association stipulate that mentors undertake certified mentor training (e.g. HEAB370 or equivalent). Who can apply to become a clinical educator/ mentor? 1. Have practised within their profession for at least two years. 2. Have undertaken regular updating of knowledge and skills. 3. Demonstrate a positive commitment to education. 4. Attend a course to develop teaching skills, an understanding of learning styles and assessment skills (including the giving of feedback). Days will be scheduled throughout the academic year. Please see flyer for current dates and application procedures.